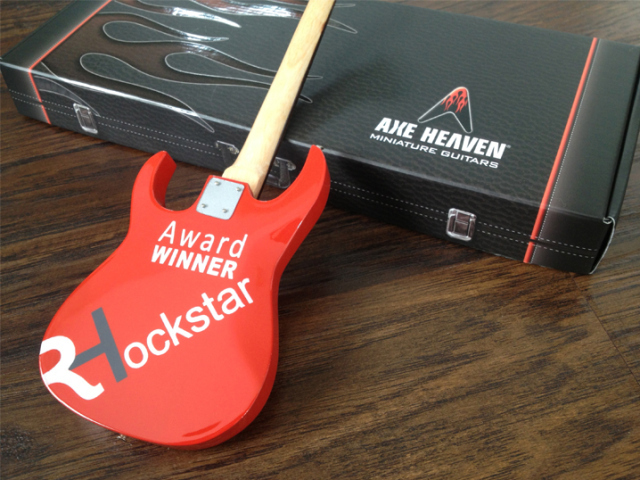 AXE HEAVEN® has worked with many marketing agencies that were representing their client, so we were delighted when Raffetto Herman PR chose us to create the awards for their own 2014 RHockstar Awards event. 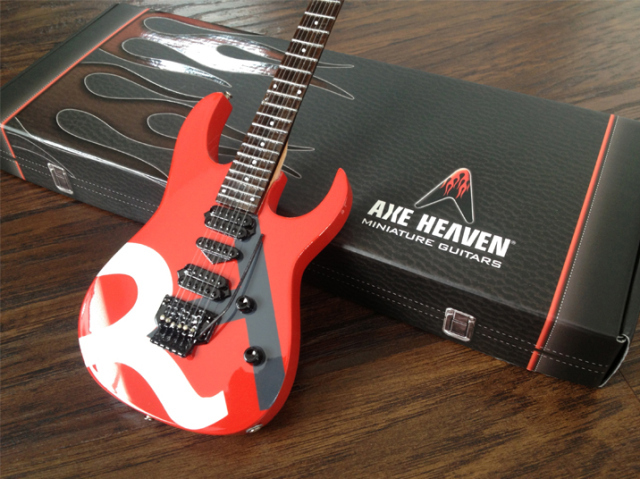 The handcrafted promotional miniature guitars the agency presented to their top-performers features their logo and a whammy-bar on the front and the agency’s award designation on the back, for a perpetual top-of-mind hand-held reminder of their event. When you distribute our custom promo guitars as a way of expressing your gratitude to your most-important target audiences – whether internal or external – your brand and message of appreciation will remain top-of-mind for a lifetime, because these cherished branded giveaways end up prominently displayed on office desks, trophy shelves or other conspicuous locations for all the world to see, admire, and envy. 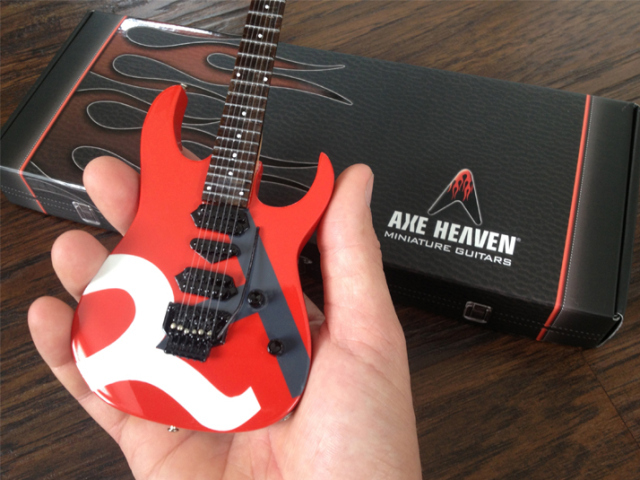 AXE HEAVEN® customizes our handcrafted mini guitars to communicate your message and enhance the image of your global, national, or local brand. Raffetto Herman PR customize the front and back of one of our distinctive models to recognize the public relations rockstars within their ranks.